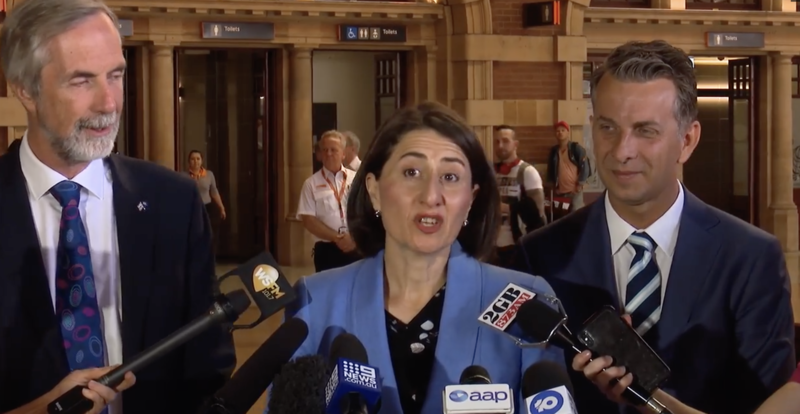 The Berejiklian government has made its first major campaign announcement in the lead up to the March election, committing to a regional fast rail network that it claims will reduce train travel times by up to 75 per cent. 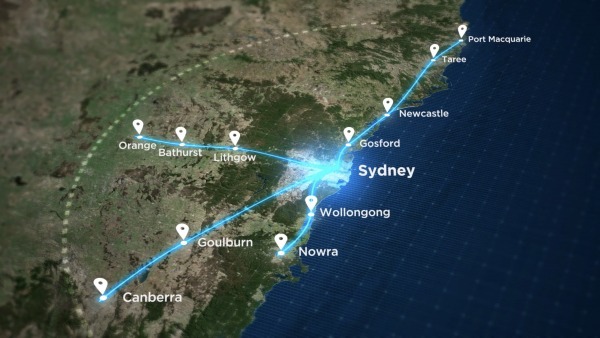 The NSW government identified four potential fast rail routes within 300 kilometres of Sydney on Tuesday. The pre-election announcement comes as instability and infighting in the federal Liberal Party threatens to cause major damage to the Berejiklian government’s re-election hopes. The Premier rejected suggestions that the fast rail announcement was an election stunt, and said that the process to scope out the viability of the scheme will start without federal government support. “I’m not going to wait for the other states, and the federal government, we’ve waited too long,” Berejiklian said. The State Government has identified four potential fast rail routes to and from Sydney that it says could slash journey times by up to 75 per cent. In a press conference on Tuesday, the Premier said that the state would “start work” on a fast rail network in the next term of government. 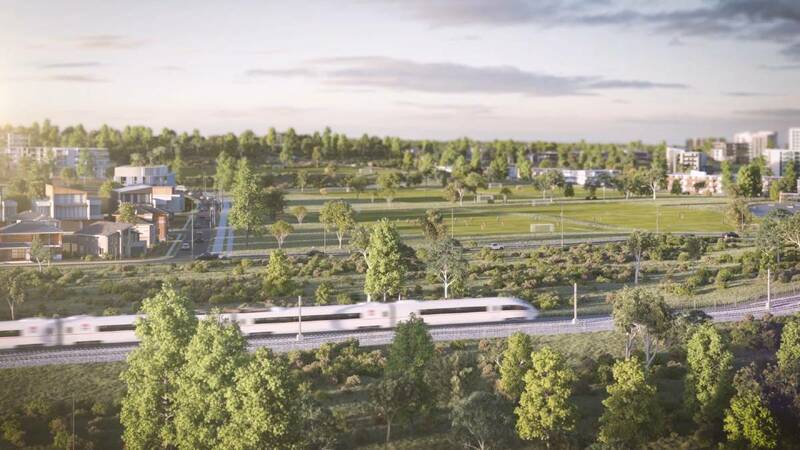 “We know a fast rail network will transform NSW unlike any other project and we will make it a reality,” Berejiklian said. Australia’s fascination with European-style high speed rail has led to some significant election cycle announcements in the last 24 months, as governments grapple with significant population growth and poor connectivity in regional areas. “This is a social issue, not just an economic issue,” Berejiklian told reporters. Premier Berejiklian has identified four potential fast rail routes in NSW, telling reporters she was sick of waiting around for governments to make decisions. The government has appointed British high speed rail expert Andrew McNaughton to advise on the delivery of the fast rail network and has committed $4.6 million from the Snowy Hydro fund to develop the strategy. Professor McNaughton will lead an expert panel to provide advice to the Premier on the most appropriate routes, train speeds and station locations. McNaugton, who has advised on high speed rail projects in the UK, told reporters that the panel would look for the most practical option – not the flashiest or the fastest. “If you make it the Concord for the rich, you've defeated the whole purpose of doing it,” he said. The “Southern Coastal Route” – including Wollongong and Nowra.